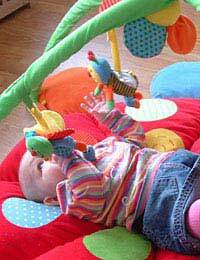 Today there are a variety of childcare options for your young child or baby. Sending a baby to a nursery, employing a childminder, hiring a private nanny, enlisting the aid of an au pair or paying a mother’s helper are all options for babies. But before you make your decision regarding childcare make sure to take into account not only the safety of your child but also the hours you’ll need childcare cover, how much you’ll be able to spend on childcare and where you will be while your child is being watched. Once you understand your own needs and options you’ll be able to make the most informed decision possible. Many types of childcare are available for babies but there are a great many differences among the choices. A nursery will generally accept a child who is aged six weeks or older and must be registered with the Office for Standards in Education. Childminders must also be registered with the Office for Standards in Education, but they are often single individuals who look after children in their own homes. Childminders can only look after three children under the age of five at one time. Nannies are private individuals usually hired to look after a child in his or her own home and their training and qualifications will differ. Au pairs are also private individuals, usually foreign young women, who live with a family and provide childcare and light housework for room, board and some spending money. Finally, mother’s helpers are usually members of the local community who will help out with a child for a few hours per week while a parent is close by. Before you decide which type of childcare you would like to undertake for your child take some time to think about a few of the factors in this decision. First, think about your baby’s safety. Do you feel that a purpose built nursery might be safer than someone’s house? Do you feel that you are more comfortable with your baby being watched in your own safety-proofed house? Also consider the hours you’ll need childcare cover. In general, nurseries and childminders work traditional business hours while nannies, au pairs and mother’s helpers may be able to work less traditional hours. How much you’ll be able to spend on childcare will also influence your decision, with private nannies and nurseries usually costing more than childminders, au pairs or mother’s helpers. However, consider hidden costs such as insurance, equipment and overtime pay before you make a firm budget. Finally, think about where you will be while your child is being watched. At work? In the house? Working from home? Figure out how the location of your childcare will fit into your schedule. Childcare options for babies abound, but that doesn’t mean that you need to take the first one that looks good. Think about what kind of childcare will best fit your schedule and budget and then select from among your many options to get the best possible option for your entire family.